My kids love the movie Aquamarine and have watched it countless times. So it was no surprise when my daughter chose this book from our shelf as our next read together. I was hoping it was a good one and I'm happy to say it exceeded our expectation! It was not only a funny story but it had great themes. It's the summer that Jade turns fourteen, gets her period, experiences her first boy crush and wishes her mom is still alive to help her through all the conflicting emotions. But last summer Jade's mother drowned and Jade and her dad are still mourning. It's only after Jade soaks in her tub with epsom salts that she gets one more shocker. She turns into a mermaid! This is when her dad reveals to her that her mother was also a mermaid. This only makes Jade question how it was possible for her mother to drown if that was the case.With her newfound skills, Jade makes a startling discovery about her mother all the while trying to keep her transformative ability from her best friend, Cori, who is concerned about Jade. My daughter and I loved reading this book together. Even though Jade is fourteen, my almost 11 year-old daughter was able to relate to her. Jade's relationship with her dad is great (heartwarming) reminding me of what my own daughter has with her dad. This is very much a book about family, exploring parent and child relationships. But it also explores friendships, the changes of puberty, and finding courage in the face of helping someone you love who's in trouble. 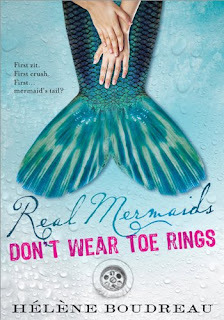 The fantastical aspect of the mermaid world was fun and Jade's quirky personality made her so likable. There's also a recipe at the end of the book for Jade's 5-minute Chocolate Mug Cake which we have already made twice. Yum! 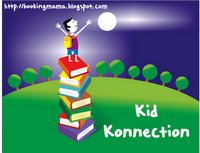 This was a refreshingly different book and perfect for my daughter and I to read together. It drew us closer together as we sympathized with Jade's loss and how much she missed her mother. I recommend this for mother/daughter book clubs and for those who love fun coming-of-age stories. Note: This book is rated C = clean read. There is a kissing scene at the end of the book between two fourteen year-old teens. Disclosure: Thanks to Cindy from Cindy's Love of Books for passing this book on to me. I was not told how to rate or review this product.